The Happy Stamper :): It's coming ... Lets get ready! Well Halloween is officially over and the start of the holiday season is ready to go! With a little planning we can get everything done on our checklist and look no further than here for a place to start. It's the perfect time to plan and start creating cards and handmade projects for friends and loved ones. Gift packaging is quick and easy with our adorable Mini Pizza Boxes! They are perfect for little treats and also packaging jewelry and trinkets. Shop my Stampin' Up! online store for everything you need and get ahead of the game and enjoy the season stress free. 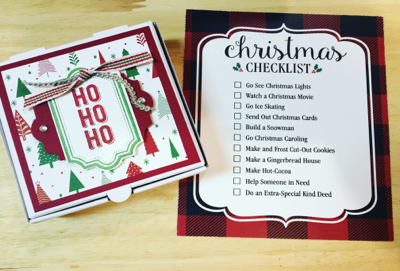 Labels: Christmas , Christmas Checklist , Christmas Packaging , Stampin' Up!